We are getting close to the weekend! Thank goodness! The weather here this week has been terrible and gloomy so it's making the week go by that much more slowly. I hope it clears up soon cause I really want to see some sun! In the meantime, I hope you enjoy this pretty pink and white mani I did recently. 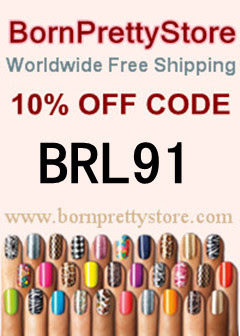 So in this mani I used my HITS Power Puff Girl polish Florzinha (which is one of the Blossom, pink cap, colors). I loved the application of this polish, it was squishy and jelly-like....though the brush left a lot to be desired, as I noticed is a trend with the HITS polishes unfortunately. The white accent nail is Pure Ice Superstar, just a typical white creme, but it has good coverage and dries pretty fast, so I like it. I used dotting tools to do the dots on the tips, it was mostly an experiment and I do like the outcome, I think it's a cute look. I decided I wanted to see what it would look like Matte, so I grabbed my Warpaint Beauty Matte Top coat (just happened to be the first one I grabbed from the drawer, I have several and most of them are pretty much the same, though I might do a comparison post sometime to see if there are any differences in them at all). I really liked how it came out mattified! So I kept the mani on an extra day just to rock it that way. Do you think it looked better shiny or matte? What is your favorite matte top coat? I love this look!! Really cute! What'd you use to make the dots? Anything simple household item I could use to recreate? 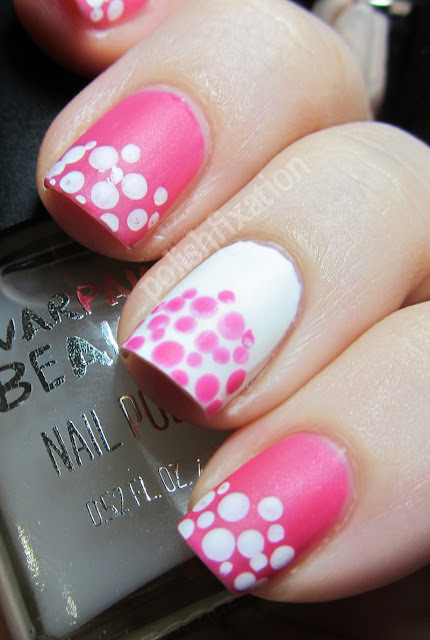 I love the dots! It's adorable... I <3 pink! 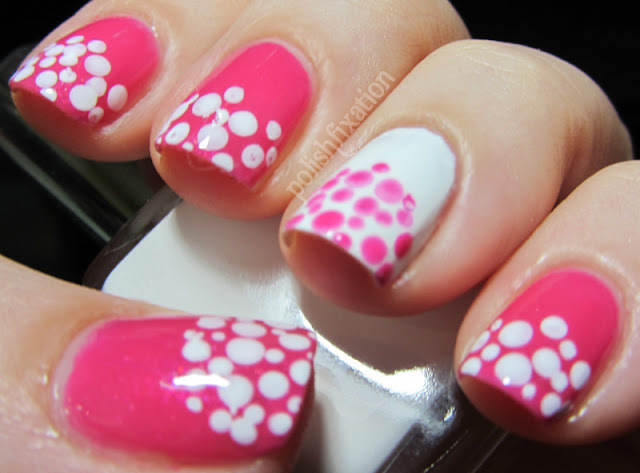 I am have to do something like on that on my nails.I love it! I love this! I might borrow your idea for our group mani in fact! I love this, especially matted. I'm wearing something similar right now, actually. Your color combos are great!